Interview with Donbass Resistance Fighter | Fight Back! Moscow, Russia - A group of anti-war activists from the U.S. is in Russia at an international conference entitled “The Right of Nations to Self-Determination and the Struggle for a Multi-Polar World.” At the conference was a young man who goes by the name Maxsim, who is part of the people’s defense forces in Lugansk, Ukraine. Maxsim sat down with U.S. activists for an interview about the anti-fascist resistance to the coup government in Kiev. 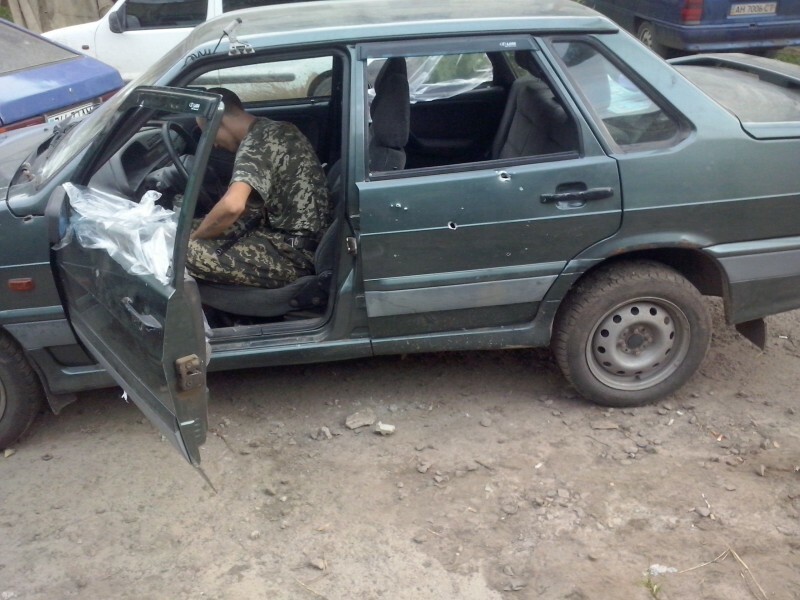 Maxsim is a former solder with the Ukrainian Army (UA), and is now fighting against them. He had served with the UA in Iraq, fighting for the Americans, where he was wounded in battle. Maxsim had lived in the capitol, Kiev. He had a business there in hotels and real estate, but his family lived in Lugansk in the eastern part of the country. In February 2014, there was a fascist-led coup organized by the U.S. In late 2013, a protest movement emerged in the center of the capitol, the square called Maidan. U.S. government-funded organizations used people’s legitimate grievances with a corrupt government to launch a violent movement to unconstitutionally remove the president, Victor Yanukovich. A fascist fighting group called the Right Sector was at the core of the thugs who came to fight with the police. During the protests in Maidan, Maxsim started to receive visitors. He was told that he had to let militants stay in his hotel for free. The February 2014 coup led to heavy repression of the Russian-speaking minority in the country, and then a revolt in the eastern part of the country, called Donbass. The UA and fascist-dominated militia began a war against the people in Lugansk and Donetsk, which had voted to separate themselves from the central government. He made his way to Lugansk, where he joined the fighters in the self-defense forces, formed to defend the community against the army and the fascists. He is a sniper by training, and is active now with the anti-sniper unit in the self-defense forces. Joe Iosbaker, Fight Back! : How are things going in the struggle? Maxsim: In June, I had hope that Russia would pitch in to win the fight. By August, we learned help wasn’t coming from them. The only help was from the common citizens of Russia and other countries, not from the Russian military. At that time, I didn’t understand that if Russia had come in, there would be a war with NATO. By August that was clear. In the beginning of the war, we were more sure of victory. Iosbaker: Are the people’s defense forces popular? Maxsim: The people of Luhansk are 100% behind their defenders. They know at stake is their freedom, their homes and their land. They know their lives will be in danger if the UA is not stopped. Iosbaker: Are you winning or losing? Maxsim: The defense forces are successfully holding back the Ukrainian Army (UA). The UA has a lot of casualties. Iosbaker: What’s the terms of the fighting? Maxsim: The UA is attacking the rural areas, the villages. They shell all the time. The civilians and the villages suffer the most; a lot of kids. The UA tries to take territory. Donbass is an important area of mining and industry, power plants. The UA attacks us about once a week. Their attacks involve between 100 to 500 to 1000 troops. The self-defense forces fight with between 100 and 200 men and women. We are successful in resisting them. Iosbaker: How can you defeat such greater numbers? Maxsim: We fight for our motherland, ideas, freedom; and they are just mercenaries. Iosbaker: Are there actual mercenaries? Maxsim: A week ago we killed a Swedish sniper and a Polish sniper. These mercenaries are being paid. Volunteers are fighting for the idea. Iosbaker: Do you use guerrilla tactics of retreating in the face of attacks by the UA? Maxsim: No. We resist intrusion. We don’t yield territory. Donbass people would rather die than let go of the land. Iosbaker: What’s the situation nationally? Maxsim: The Maidan uprising divided the country. My cousin is a Neo-Nazi. Maidan became a litmus test, and in many families it’s brother vs. sister/brother. Maidan has tested friendships. There have been divorces over Maidan. The US/NATO were successful in pitting Slavs against Slavs. It’s a civil war. Iosbaker: The Kiev government has declared a cease fire. Maxsim: There is no cease fire. That’s just a claim by Kiev to start another attack on Donbass positions. Iosbaker: Where’s the fight going? Maxsim: In the future, I’m sure that there will be a turn around. The current government will be overthrown. We will win the fight and clean Ukraine from fascism. I wish people in the U.S. will do the same.